What a beautiful little girl!! How lovely! 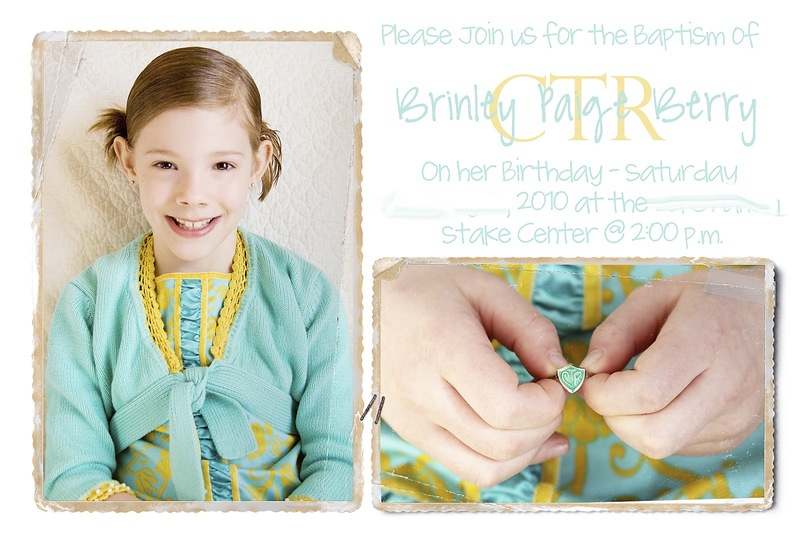 Congrats to sweet little Brinley, she is adorable! Congrats to Brinley! What a gorgeous girl, and what a special day! Good for her! And of COURSE you have to post a picture of the scripture tote! We all want to see! what a blessing that she has a heart for the Lord. I love the flowers and her baptism announcement is great. I love the picture of her holding the CTR ring. Great job! I love the purple.. it stands out so well! Brinley looks so cute! I hear ya on the lighting in that stake center horrible!! Come on show the bag I bet it's perfect! Love the towels. What a great idea! Her white dress is so very pretty! What a lucky girl to be baptized on her birthday. Love the announcement and the layout looks similar to my Logan's. I wear my posey pin with pride. I need another one. I love her dress. I will email you the info on making your pictures big too. Oh how special that day is! I remember my sons baptism like it was yesterday....in two weeks he'll be in young mens!! They grow up so fast! Each of these special moments in their spiritual growth are something treasured forever! 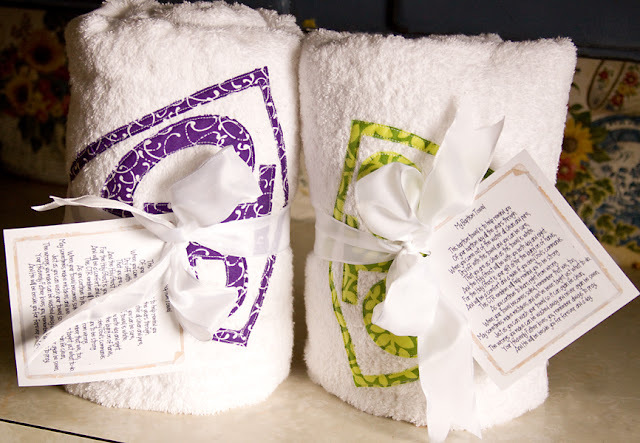 On a side note....those towels are adorable! 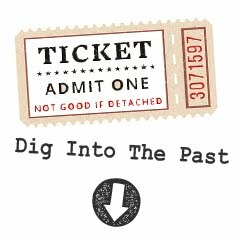 Love the invitations. I love her dress too, she looks so sweet and happy. I totally missed getting a pic. of the hubs and son in the white batism jumpers... I waited and waited and they never came out... then when they did the bishop directed us right to the font. Then I didn't get any of his actual batism either.. I could hit myself.. thinking about it. She's such a beautiful girl. I can't believe how grown up our little girls are. Love the announcements and the CTR towels. What awesome gifts. I love Brinley's dress!! Where did you find it? I lov elove love her dress! I love it so much that I am going to be tacky and asked where you picked it up? 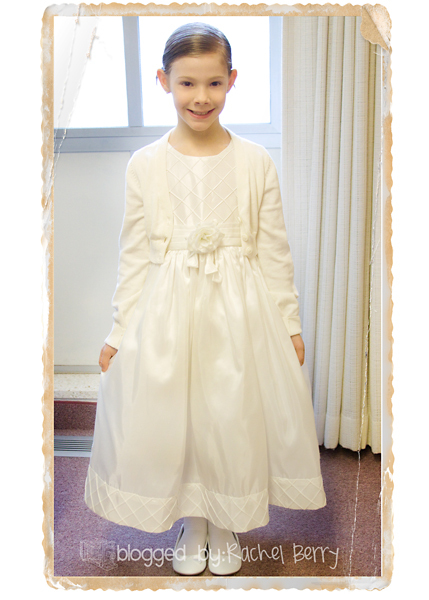 MY 7 is being baptized in march-her birthday in feb and have been searching for a dress such as that? I love her dress!! I wish I had a girl to buy a dress for. Looking forward to seeing that scripture case! Did you use a pattern?? She is just beaming! I love it! The invites are darling too! Congrats to Brinley, what a fun day! The invitation is so beautiful and the pictures are gorgeous. She looks so happy. Miss Brinley is beautiful! What a great day for your family. Congratulations. I absolutly love those invitations. You go girl!